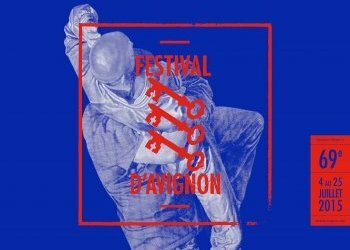 for the fifth consecutive year TAMAM will be present at Avignon during the month of July, with different theatrical appointments. 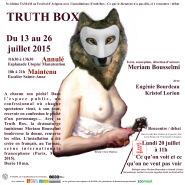 ‐TAMAM is in the street for a theatrical installation, from 13 to 26 July:Truth Box, of the Tunisian play writer and director Meriam Bousselmi, in partnership with the TARMAC (Paris). 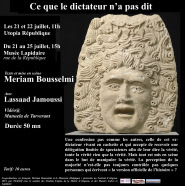 ­ A public debate on the theme: “What we see and what we won’t see” as part of the Ateliers de la Pensée (Université d’Avignon) organized on the 20th July. 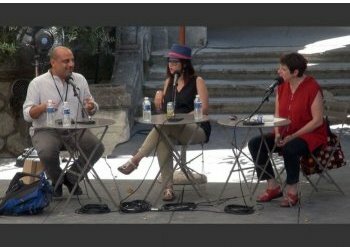 by the In Festival and Tamam with Meriam Bousselmi et Ahmad El Attar, Egyptian theatre Director, author of The last super presented in the In Avignon Festival, with the participation of Henri Jules Julien and Laasad Jamoussi, debate animated by Claudine Dussollier. 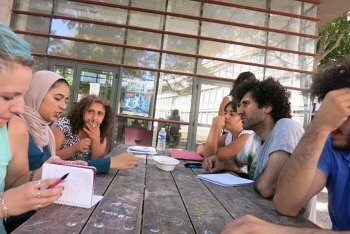 And a novelty for the 5th edition: a masterclass of theatrical immersion.